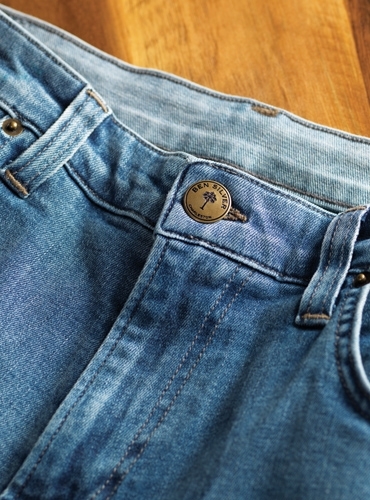 Our new blue jeans are the culmination of years of product development - tweaking each and every detail... until, at last, we have determined that everything is just right! 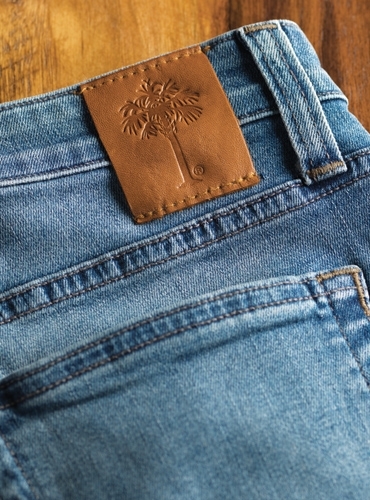 The denim fabric is 99% cotton, with a dash of stretch that significantly increases the comfort. 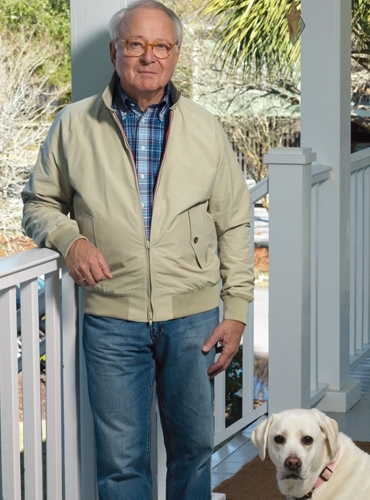 The fit is both flattering and relaxed. 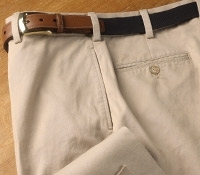 The special shade of “Charleston Blue” will pair handsomely with all of your wardrobe pieces - from a brightly colored polo shirt to a navy blazer! 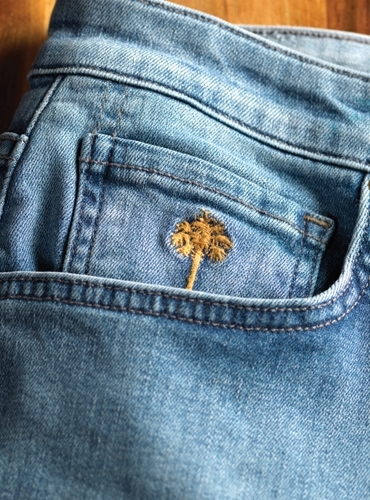 Charleston Blues are made for us in an American workroom, with extra attention to the small components that make our jeans unique, such as our Ben Silver button and our signature Palmetto design that is embroidered on the “fifth pocket” and stamped on the back leather tab. 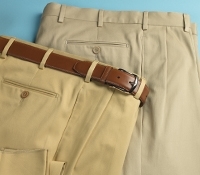 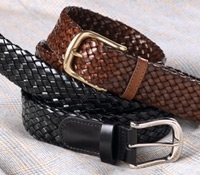 Offered in waist sizes 32-44, with odd sizes through 37, and your choice of 30, 32, or 34 inch inseam.